A few weeks ago many of Coquitlam’s Principals and Vice-Principals attended our annual conference. This year’s topic was the power of educational leaders using social media. I was inspired by the thought provoking message George Couros sent about carefully considering the WHY behind educational leaders using social media. While I have been blogging at this address since 2007, I have been quiet since I became a vice-principal. I told myself that I wasn’t posting because I was in a different phase in my new role – a learning phase – I would save posting for when I had learned enough to feel confident about sharing what I had learned. George’s presentation pushed my thinking on this – I realized I was missing one of the key reasons WHY being engaged in social media matters. I was seeing my blog as a place where I would publish what I had learned – something rather summative in nature. What George helped me understand is that my blog could do so much more for me as a learner if I used it as a place to document my learning during the process of learning. A place where I can post my thinking and play with my ideas. A place where I could invite input and push-back from others. I realized that as the name of my blog “Playing with Ideas” implies – it should be a place where I am tinkering, experimenting, risk-taking. The very things I want the learners I work with to do. This is a subtle but powerful shift for me. Face to face push-back: A parent who shared with me what other parents were saying about me as a kindergarten teacher – “great teacher but unapproachable”. By nature I am a reserved person – I hadn’t realized how my natural social cautiousness was perceived by others. This comment inspired me to design my master’s project around reaching out to parents more actively and openly in order to build a stronger classroom community – this push-back shifted my thinking and altered the path of my career. 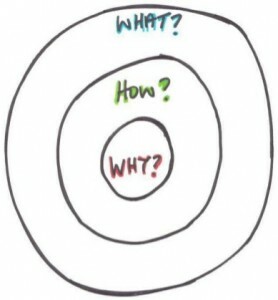 Blogging push-back: Heidi Hass-Gable provided me with some push-back that helped clarify my thinking around the dialogue we have with our school community regarding WHY we need to do things differently in education. You can read about that conversation on my other blog “Connectedness” and her comment on that post. These examples of push-back (along with many others…) have caused me to reflect and reshape my thinking as a learner and educator. One of the quotes George Couros shared during his presentation was: “If self-reflection seems difficult, acceptance of failure will feel nearly impossible.” (Unusually Excellent: The Necessary Nine Skills Required for the Practice of Great Leadership by John Hamm). I realized that if I use my blog as a place to document my learning, I will be taking the time to stop, reflect on my thoughts and actions, and I will open myself up to the guidance and input of fellow learners. I know that one of the things that keeps me from posting is the possibility that I will be displaying my ignorance in some way. I need to remember that the times my thinking has been challenged has not defeated me, rather, it has helped me rethink and refine my ideas. It has made me a better and a stronger learner and person. Exactly what I want for all the learners I work with. Another aha moment I had at the conference was when I began to relate documenting my learning through my blog to the conversation kindergarten teachers have been having about shifting their assessment practices to the documentation of early learning. Increasingly they are involving the children and their families in this process. You can read more about documentation of early learning in a series of posts by Brian Kuhn: Shift to the Future: Documentation. Since the conference documentation of learning also came up in conversations about rethinking Graduation Requirements at the Provincial Level. Some of us were thinking that blogging would be a good way for our high school students to reflect on and play with their ideas in a cross-curricular way. Bryan Jackson’s Talons students are already doing this type of reflective documentation of their learning – I love this example: Talons Grade 10 Introductions. I believe that blogging as a way to document learning has transformative potential for our learners. This brings me back to another of my take-aways from George’s presentation – another reason WHY I should be blogging. By involving ourselves in meaningful and reflective use of social media, we become models of thoughtful and reflective learning, and of digital citizenship. We know that most of our kids will be involved in publicly documenting their life experiences through the use of social media with or without us. Without models our children are navigating the digital world – with all of its inherent dangers – alone. Simply providing them with lessons and lectures about the dangers and about digital citizenship has limited effectiveness. Engaging alongside them will have a far more powerful impact. We now have access to digital tools that make us increasingly able to provide powerful learning opportunities that can meet the needs of ALL learners. The learners we work with need us, as they always have, to mentor and guide them in becoming self-regulating learners, in developing meta-cognitive skills, and in developing social consciousness. The context of today’s learning is vastly different then the context we grew up in. To fully understand it we need to engage in it – the learning opportunities are endless. Posted: 11.10.2012 . Posted in: Comments and Reflections, Digital Learners, Documentation, Featured, Reflection. Bookmark the permalink. The jump is a tough part but the next hurdle is staying consistent 🙂 It takes a lot of work but at some point it will just become what you do, and then you will see a huge benefit. That is when it goes to the transformative level. Very thoughtful post and I love how much you have shared here. Looks like you have a lot of questions moving forward and I am looking forward to openly learning with you. Thanks for the share! Thanks George, the staying consistent is hard. I haven’t actually been absent from my blog for the past two years – I have many drafts that never make the publish stage because I tend to over think things… Hopefully my new thoughts about why I blog will help me with that. I was seeing my blog as a stage prior to your presentation and I am not much of a performer, I see it differently now – thanks again. Great post, Anita. One of the struggles I have is finding those opposing or dissenting voices. Too often, social media is a ‘safe’ space for critical thinking around educational change. We follow ‘like-minded friends” and retweet to each other the same thoughts. I have just a few people willingly to question what I sed out. It could be that people are following me, but don’t know me…..
Hi Anita. I think you’ve come to a fantastic conclusion. Blogging is not about perfection nor is it about just sharing what you know. It is about sharing, asking questions, trying out ideas, asking for help, brainstorming,… Learning! Good for you to start back up as a 21st century learner! Great post. I have often found myself questioning why I blog, and having others ask me why I blog. Having read all of your old blog posts (great history lesson by the way – Thanks) I know that you are a learner, and obviously always have been. Presenting your learning publically is awesome as it allows me to learn from and along side you! Personally, the consistency piece that George mentions is the part that I have found the toughest. I find that I blog for a while and then seem to stray for a while. In the past these time that I have not blogged have coincided with the arrival of babies. Being pretty sure that I won’t be having any more babies (yes, I realized that I have not actually given birth to any of them myself) I hope that I can keep it as a regular part of my practice in the future. Looking back the times I have been blogging have been my most productive profesionally, thus I hope that I am able to keep i tup this time. Thanks Frank – glad someone benefited from all those old posts!! It is neat looking back and having that record of my own development as an educator. I have the worst memory so the record is very helpful to me :). Sure would be neat to have kids blogging from K-12 so that they could see their long-term progression as learners. I am really going to try to be consistent as I do really value the time spend pondering ideas. Thanks Brian, these are all of the learning tasks I want for kids. Spending time going through all of those processes (plus fears, anxieties, second guessing…) will certainly make educators understand how vulnerable you feel but how powerful the learning is.